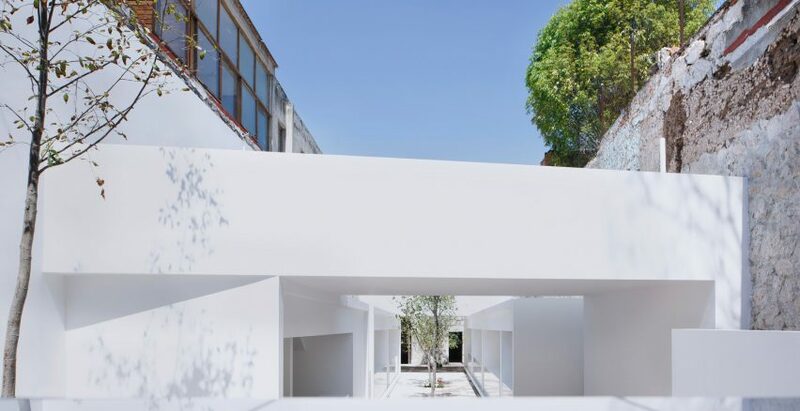 Architecture practice HW-Studio has ripped out an abandoned warehouse and replaced it with a series of all-white volumes to create this food market in a historic Mexican city. 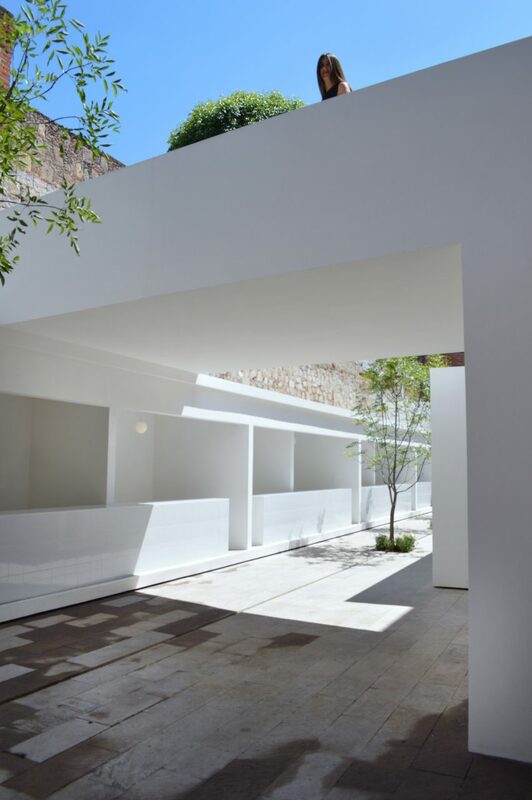 HW-Studio’s market is located in Morelia – a city in the central Mexican state of Michoacán, which was settled in the 1500s, and is known for its buildings made of local pink stone. The white Morelia Market replaces a warehouse that dates back to the 16th century, when it was used as the wine cellar to an adjoining house. It had fallen into disrepair over the years, following modifications by different owners. 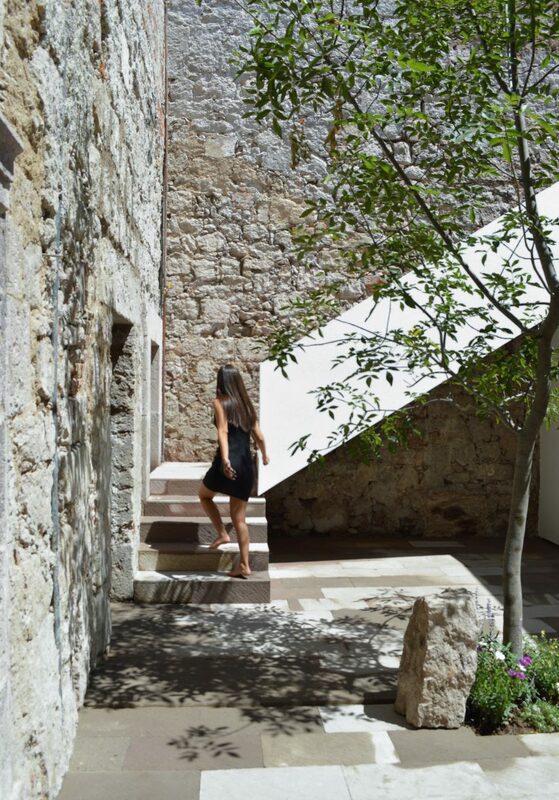 In response, the studio stripped out the cement to reveal the stone walls behind, and removed the ceiling to create an open-air space, which measures eight by 40 metres. Other existing architectural details like stone steps, arched openings and iron gates were all preserved, with the white volumes arranged in between to create a stark contrast. 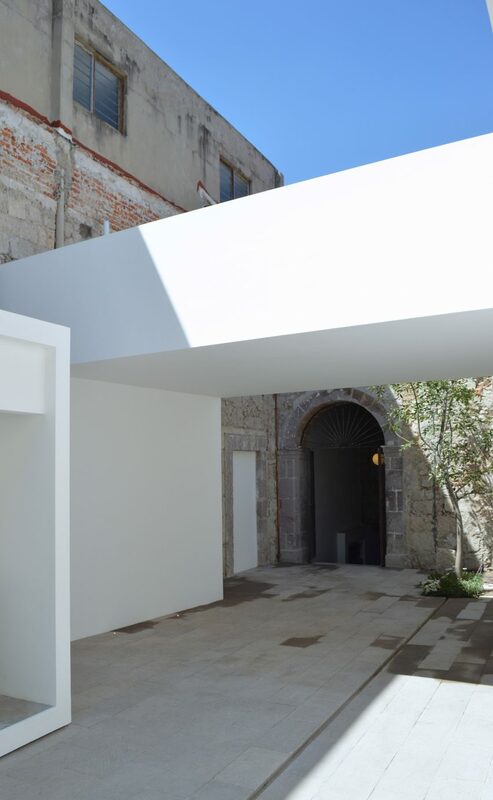 “Everything antique with architectural value would be rescued, and the new would formally and materially have a different nature: a white and defined nature that would demonstrate its own presence, and its own historical and conceptual moment,” said the studio. Visitors enter the food market at a lower level, with a staircase leading up to the main market square. Here, a series of open-faced boxes run down each of the long walls to form covered stands for various food venders. Each is fronted with a tiled white serving counter, and fitted with an oven and a kitchen sink inside for preparing dishes. There is also artificial lighting so that the market can remain open at night. 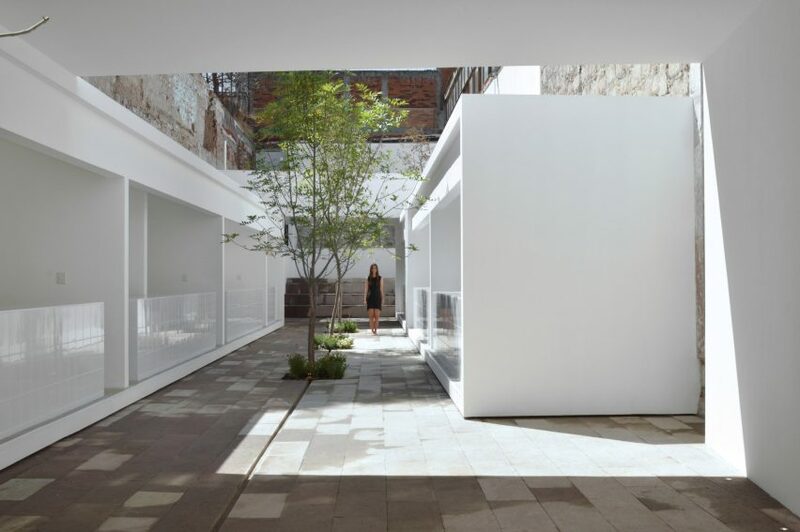 Trees are planted in the paved yard that acts the central street between the vendors – a detail the studio incorporated as a reference to other public squares in the city, like the nearby Las Rosas, where people regularly gather to eat. The layout of the market and the inclusion of natural materials also mirror aspects of these spaces. At each end of the Morelia Market, bridges across the top of the stalls provide shade from the sun to seating areas. The raised structures also create a second extra level for two more spots for sitting, which are accessed by a set of steps. But HW-Studio said the most important function of these volumes is “to frame, without exclusion, the different layers of architectural history left over the centuries”. Like the Morelia Market, a number of old buildings and spaces around the world have been given new life as markets. 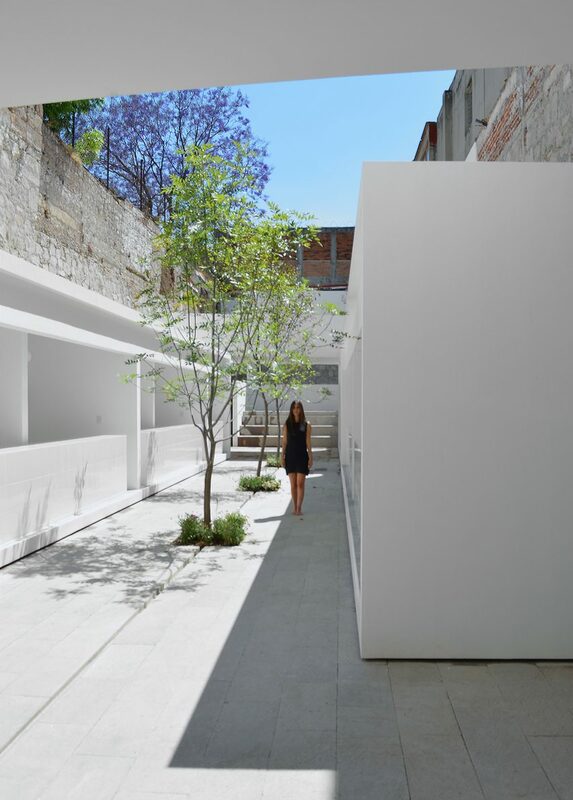 Examples include a dilapidated freight depot in Malmö, Sweden that was converted by architecture studio Wingårdh and a white-washed concrete structure by APX Portugal that connects two streets in a small town. 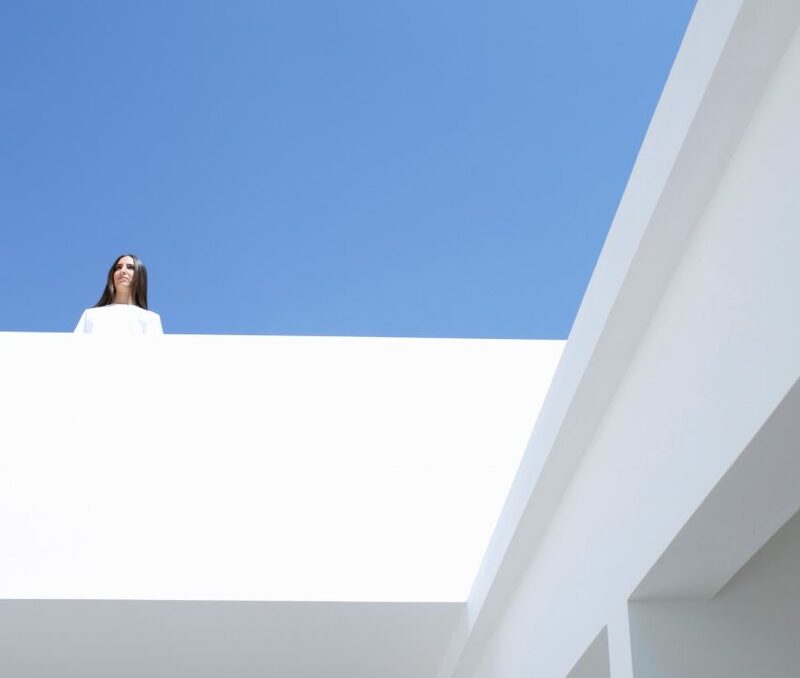 Photography is by Bruno Gómez de la Cueva.